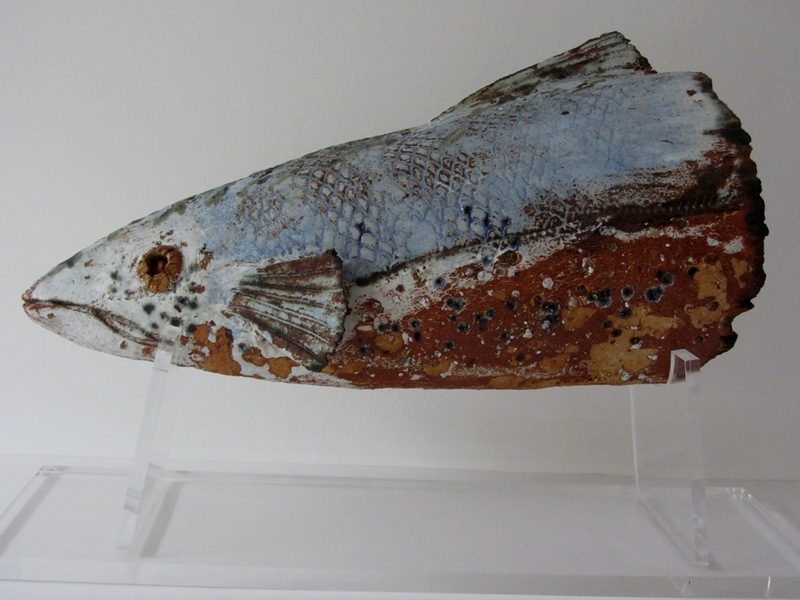 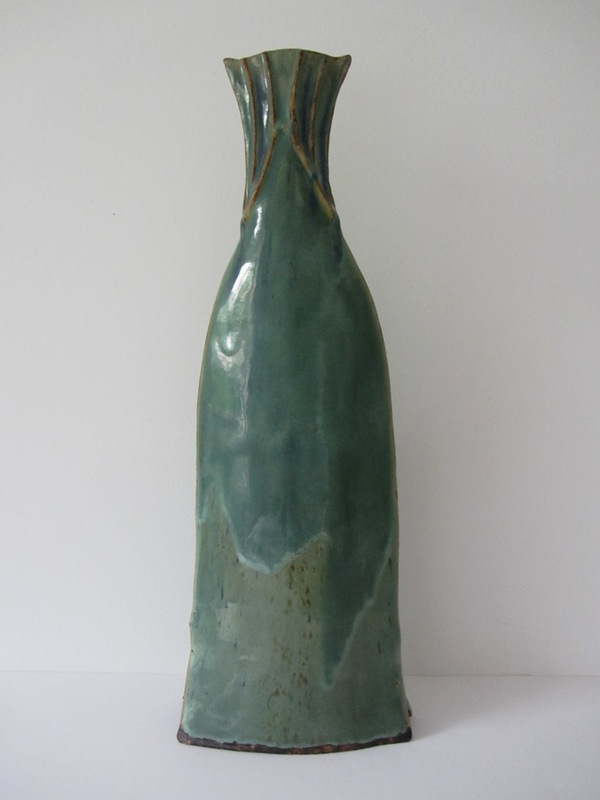 Claire Finlay was born in Dublin and trained as a ceramic restorer, working in Paris, Istanbul and London, before becoming a ceramicist herself. 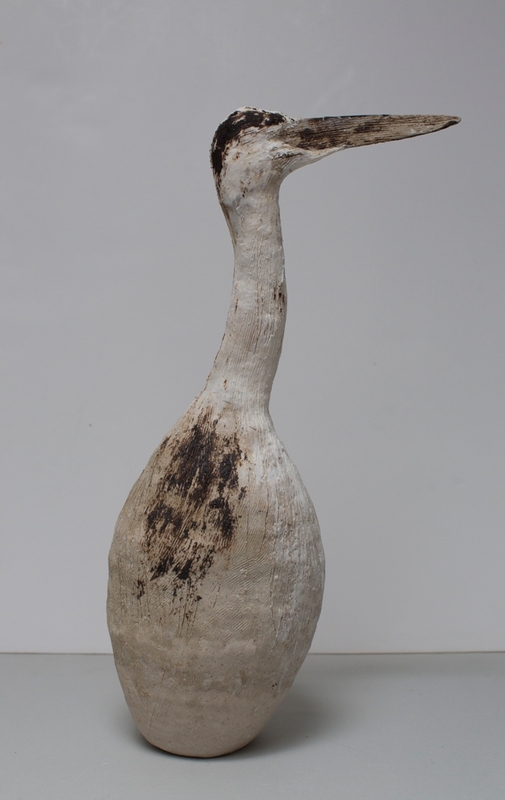 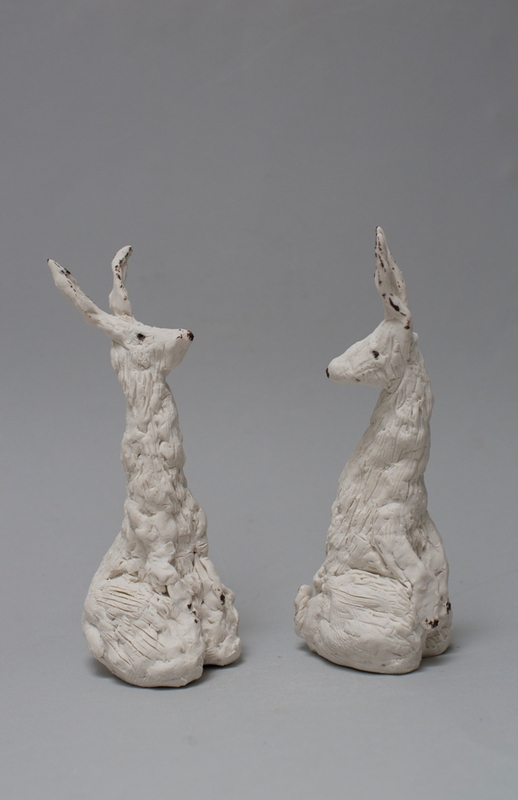 Her sculptures are influenced by the natural world and the whole process of time. 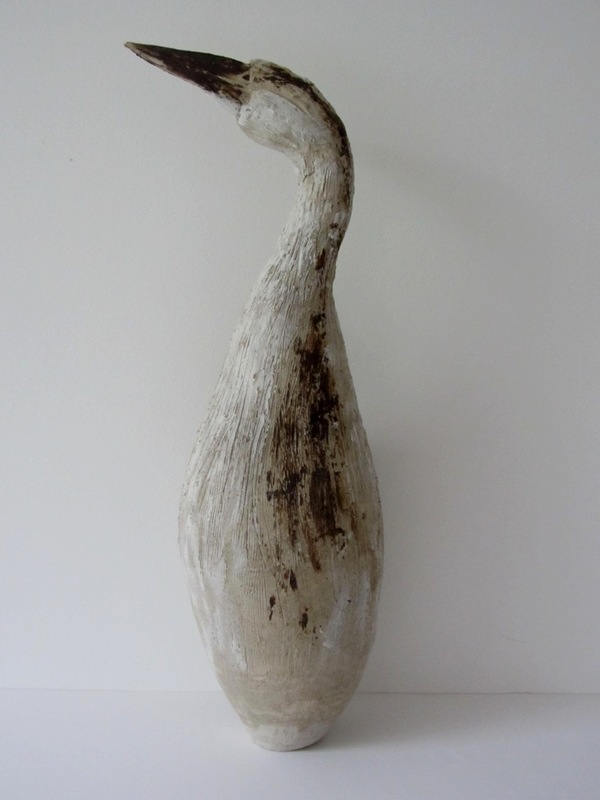 “Birth, death and the intervening process of decay hold a fascination for me. 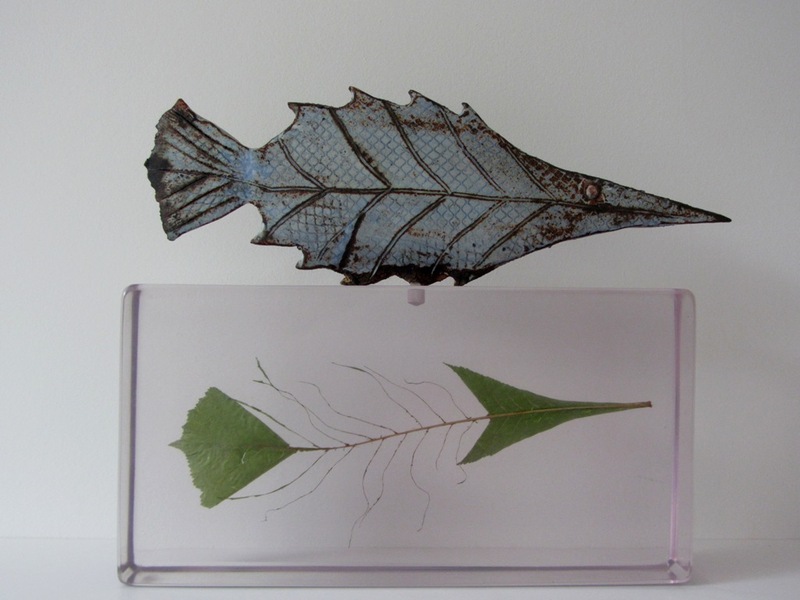 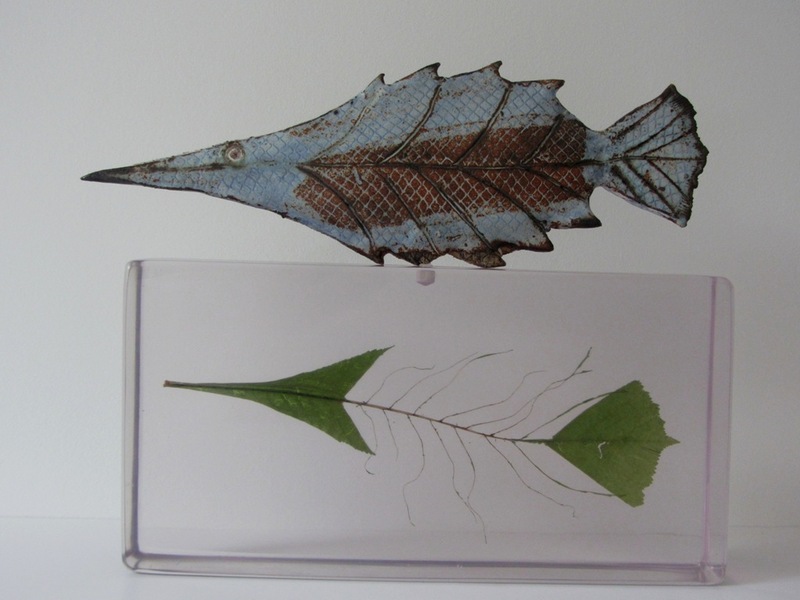 Everything is interconnected, so that the body of a fish can equally become the shape of a leaf”. 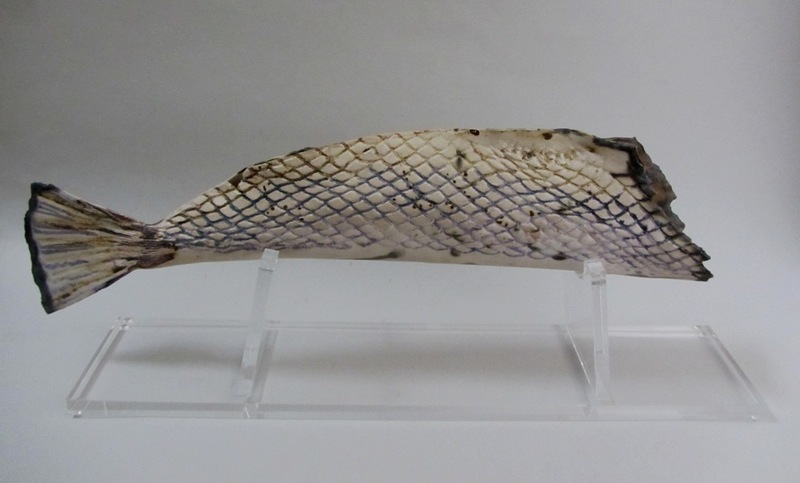 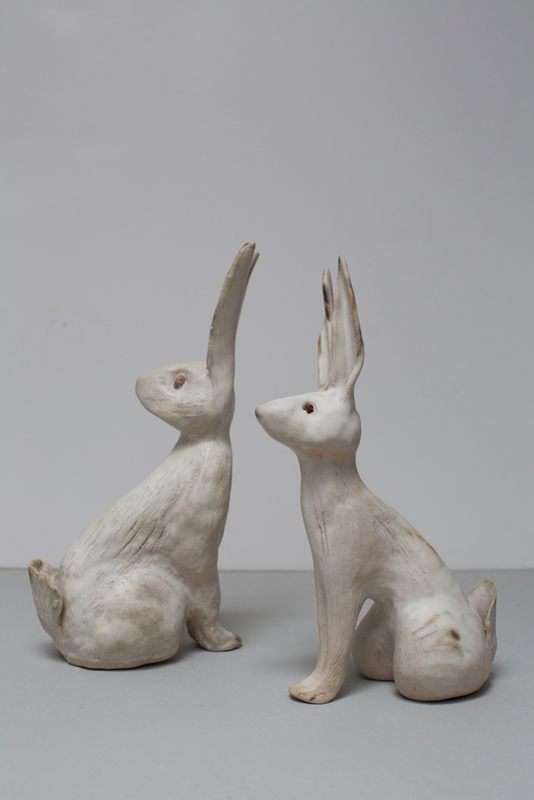 She mostly works in stoneware or porcelain and uses the coil or slab method to create her pieces. 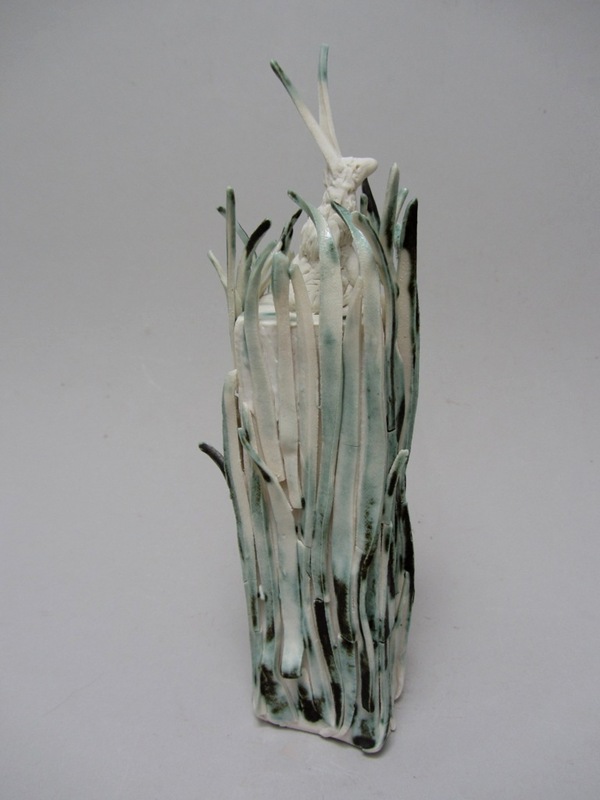 Texture is important and she will often include beach shale, stones and glass into the clay before firing.